Swords to Plowshares for some decent removal, Accorder Paladin to pump up your guys even more, Knight of Grace in the sideboard, Gallant Cavalry maybe? 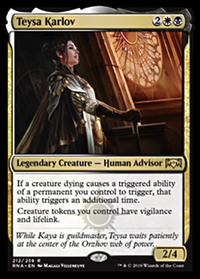 Vona, Butcher of Magan is straight up better than Aryel, Knight of Windgrace, as 7 life is way easier to come by than the 6 creatures you would need to tap to kill...say, a Doom Whisperer. the way Aryel, Knight of Windgrace works also leaves you vulnerable unless you have lots of creatures on the field that can block even if you tap half your creatures to kill something. 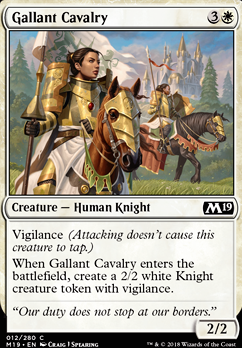 2for1 cards like History of Benalia, Assure / Assemble, Call the Cavalry, Gallant Cavalry and other cards that create more than 1 knight would help if your idea behind this card is to use both abilities. since you are doing a black/white knight theme Knight of Grace and Knight of Malice are a must since they are probably the strongest 2 mana creatures out there if you play these colors. the name of the game is lots of creatures. you can also play a few copies of something like Rallying Roar, which allows you to use one of his abilities again. if you do stick with 2 colors Josu Vess, Lich Knight might be interesting. 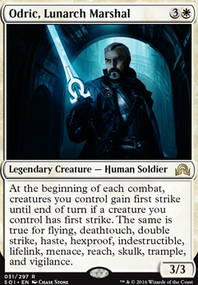 you can play non-knight creatures too if you really want, but then you may want to add something that can make them knights like Sigiled Sword of Valeron or Dub. The other way you can go is to add red or green, as is splash-able, so you can go 3 colors. 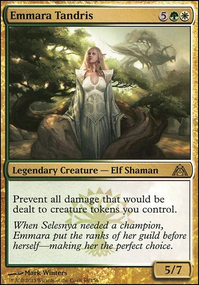 in green you get lots of tokens and stuff like Knight of Autumn, which is probably my favorite card in the set. in red you get mentor. i havent played around with mentor too much so i wouldnt know anything about that. red is by far my least favorite color, so i tend to only keep enough knowledge to beat them, not to play them. the thing is though, Aryel, Knight of Windgrace is only good if you build your entire deck around it, and im not convinced he is good enough to do that. I like the idea of Gallant Cavalry. Karn is just in there coz I have one and this deck lacked a bit of card draw.